If you are going to do some serious off-roading in your Jeep then you need some serious recovery equipment to help you along the way. Bubba Rope has you covered with their Gator Jaw 7/16" Pro Soft Shackle that will outlast and outshine it's steel counterparts. Made from Plasma® UHMPE rope this shackle is stronger then steel shackles with an amazing 52,300lb breaking strength and a bow width of 6"! 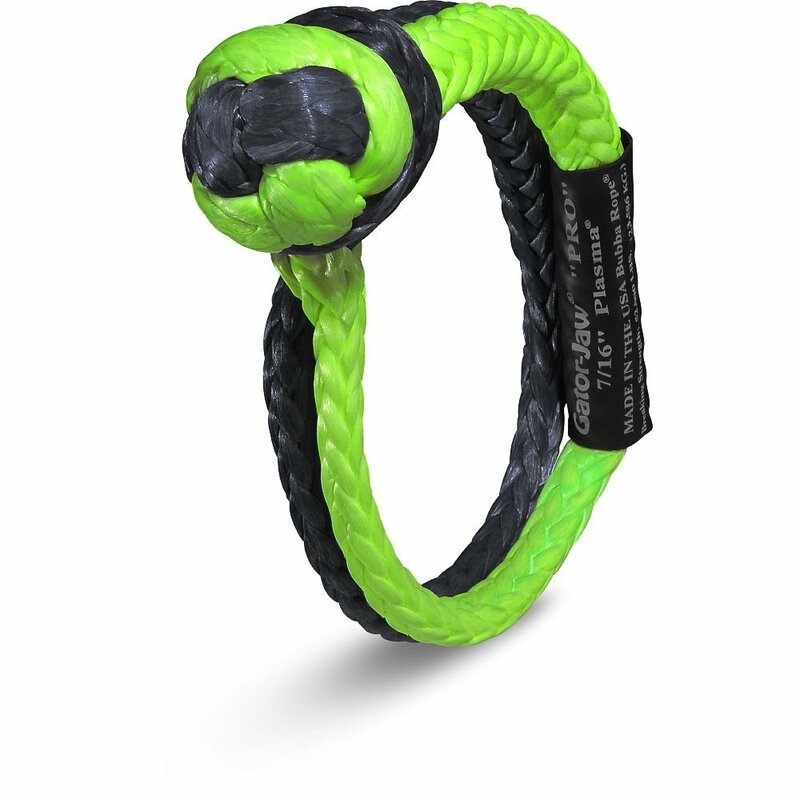 Plasma Rope: The strongest synthetic rope on the market today. Light weight and easy to store in your recovery gear bag. Stronger then steel with a 52,300lb breaking strength. Benefits vs Steel: First off one of the most important benefits over steel is strength so you would think that would be enough to sell you on this. Wait there is more, how about flexibility making it easier to wrap around those difficult recovery points. Here is another one that may seem silly and you might not think about until it happens, they float. No more will you be stuck in water and have your steel shackle fall out of your hands and sink in the mud or water being someone else's treasure to find later on down the road. Design: This one piece design allows for you a quick easy attachment that doesn't require a pin to fasten it.